If you love your iPhone, Amazon Prime, and Warby Parker glasses, you'll probably like the Quip. I try to avoid social media ads as much as the next gal, but every now and again, the creepy, all-knowing internet presents a particularly persistent and perfectly targeted ad, and I can't resist clicking on it. This is how the Quip toothbrush came into my life. If you haven’t been haunted (in a Casper way, not The Ring way) by the Facebook, Twitter, and Pinterest ads to the point that you finally shout, “OK, fine, you futuristic-looking rose gold mouth mop, I’ll click through already!!! 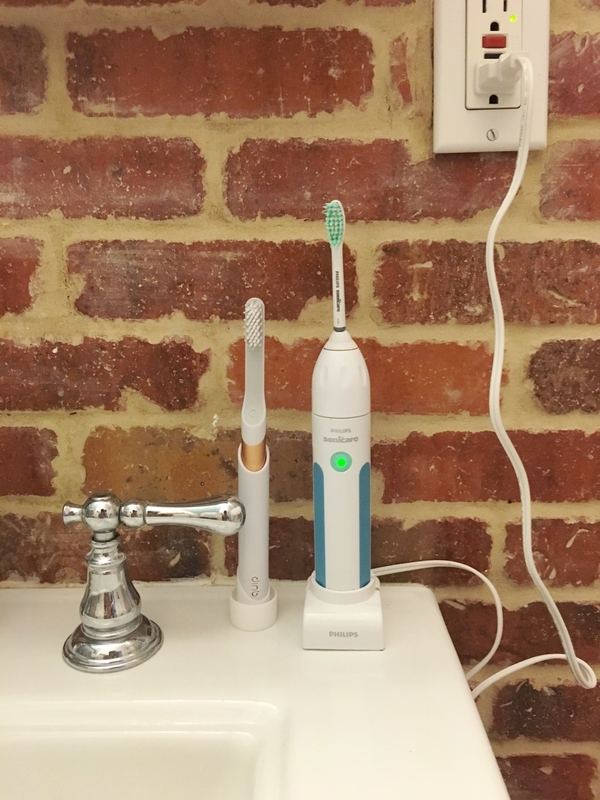 !” here are the basics: Quip is a new(ish) electric toothbrush that is very, very pretty. There are two models: a $25 plastic one (either blue or green), and a $45 metal one (silver, gold, black, or copper). When you buy a Quip, you also sign up to get a replacement brush head delivered to you every three months; each costs $5, including shipping. There are some additional options beyond that, but that’s the basic idea. My journey to the Quip began when I decided to re-commit to flossing and start using an electric toothbrush again. 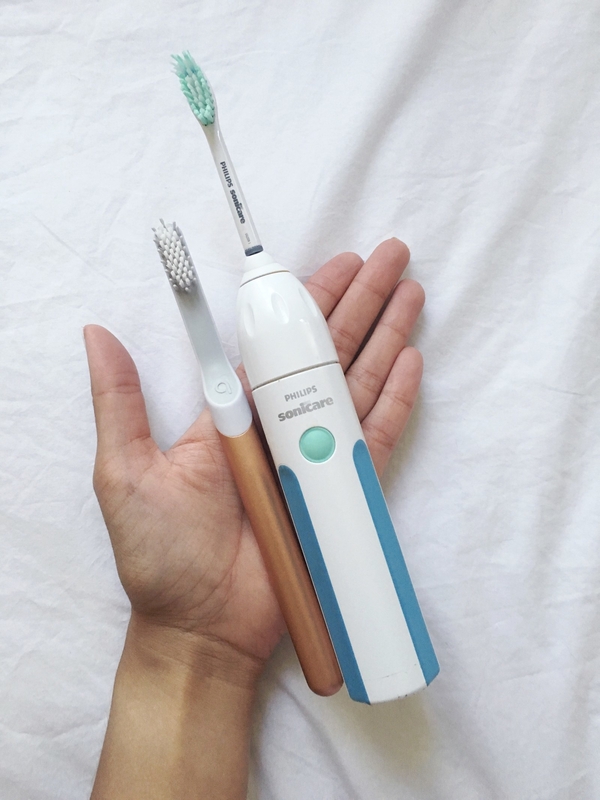 In July, I told my dentist that I was planning to get a Sonicare; she approved, and told me to make sure that I got one with a “DiamondClean brush head.” This seemed reasonable enough...except then I discovered that the DiamondClean one costs $190, to which I said “lol NOPE BYE,” and bought this one instead, which cost $25 at the time. It's fine (I’d owned two Sonicares before this one and both were fine), but the Quip caught my eye because it’s so beautiful, and because I was seeing the ads everywhere. So a few weeks after I bought the new Sonicare, Quip sent me two toothbrushes to try and review. Later, I interviewed founders Simon Enever and Bill May (who are SO nice, but look like they were sent directly from Central Casting to portray hipster bro startup founders) at Quip’s office in Dumbo. If you, too, have been curious — or if you saw the photos above and thought, Hell yes, I could get down with a pretty toothbrush! — read on for my thoughts on what the Quip is like IRL. I tried both the plastic Quip and the metal one, and the differences between the two are pretty minimal. 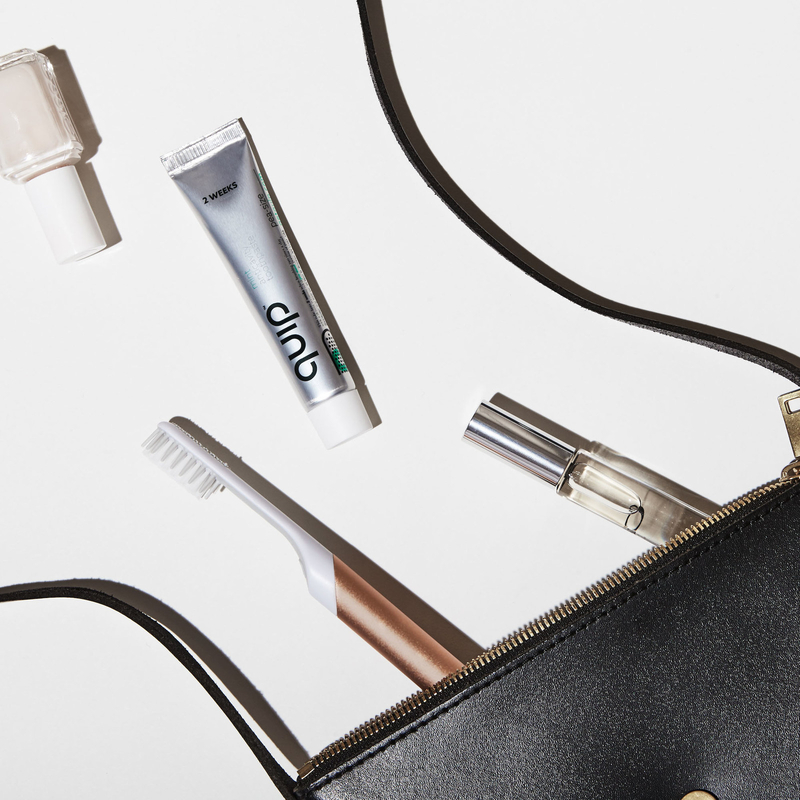 The metal toothbrush is cool to the touch and a bit heavier, which makes it feel expensive. That said, the plastic version definitely doesn’t feel cheap (which, TBH, I expected it to). I liked the metal one better — I prefer the metallic colors, and really liked how it felt in my hand — but follow your heart and your bank account. I cannot overstate how compact/slim the Quip is; it’s way more like a regular toothbrush than the bulky, bottom-heavy electric toothbrush I'm used to. BTW, that tube also has a sticky strip on it, so you can mount it on your mirror or bathroom wall (like in this picture). Do you have heart-eyes yet? Because that’s the goal. 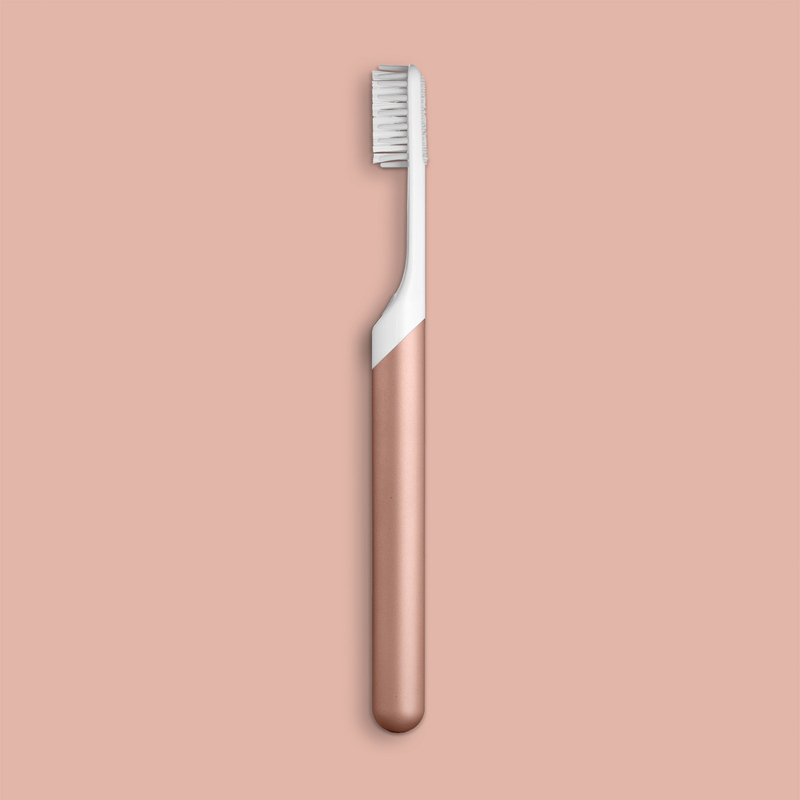 Creators Enever and May, who both have a background in product design, told me they see Quip as a health startup, and think that maybe if you really loved your toothbrush, you’d use it more. (FWIW, the American Dental Association backs the claim that a lot of people aren't brushing enough.) As more people get on board with the idea of everyday objects “sparking joy,” it seems like the right time to make that argument. The modern design is also closely tied to Quip's secondary mission: taking down Big Toothbrush. OK, those are my words, not theirs. 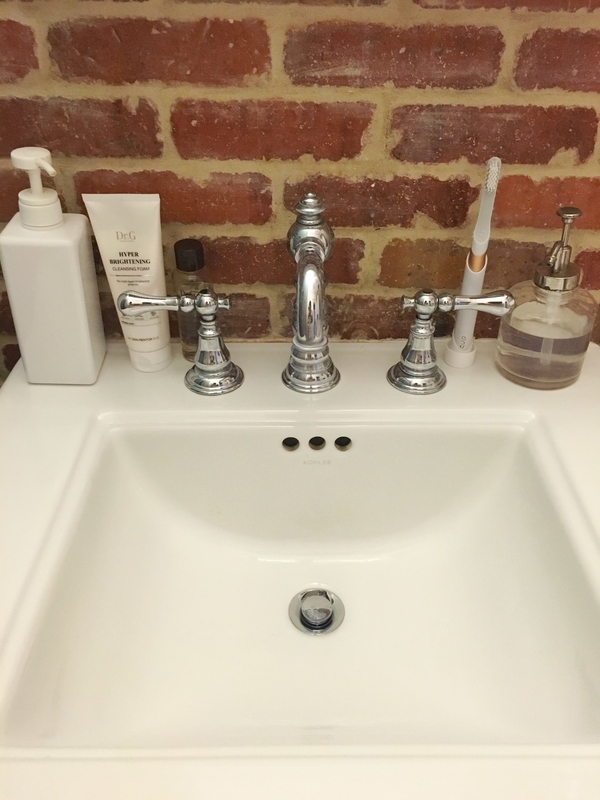 (Enever actually specifically said to me in an email, “It’s not very ‘Quip’ to attack other brushes directly.”) But the founders claim — as startup founders are wont to do, so, ready your salt grains — that the bells and whistles most existing electric toothbrushes offer (like “tooth whitening mode”) aren’t really necessary from a dental health POV and are only added to upsell people. And, their argument goes, if you don’t need to power a bunch of features that more there for marketing than for your mouth, you can design an electric toothbrush that runs on one AAA battery and is hell of a lot sleeker than the current offering. 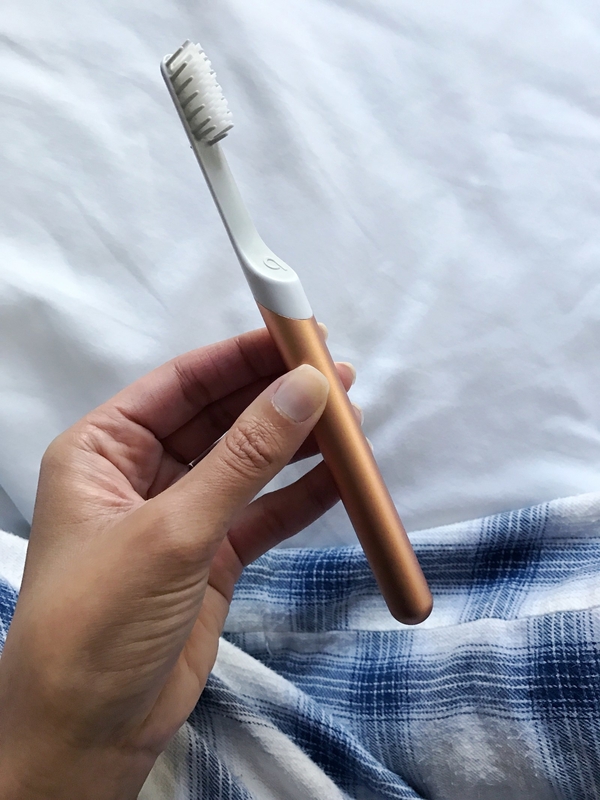 The Quip is pretty much what I’d expect from an electric toothbrush: two minutes of brushing, with a ping every 30 seconds to let you know to move the brush to a different part of your mouth. That’s not special; every electric toothbrush I’ve ever had does this. However, I was surprised by Quip’s ~vibes~...as in, the vibrations. The Quip is like a purring cat, while the Sonicare is more Crotch Rocket-esque. (Consider this: If I pull the Sonicare out of my mouth while brushing, I’ll end up spraying toothpaste all over the mirror. That doesn’t happen with the Quip.) The Quip is also a lot quieter. According to Quip’s founders, it’s quiet enough that parents can brush their teeth without waking up any little ones sleeping in the next room, but my barren uterus and I can neither confirm nor deny this. The Quip is like a purring cat, while the Sonicare is more Crotch Rocket-esque. The Quip's bristles also take up a bit more real estate and are much softer than the Sonicare’s. The fluffier bristles combined with the hushed vibrations make brushing with the Quip a very pleasant experience. Though I can’t say anything bad about the Sonicare experience (I used it for years and was fine with it), I definitely preferred brushing with the Quip. I think it really just comes down to personal preference. As I mentioned, when you buy a Quip toothbrush, you also sign up to get a replacement brush head every three months at a cost of five bucks a pop. (There’s also an option to do a brush head plus a tube of Quip toothpaste for $10 every three months. The toothpaste is fine — some days I like it, other days I want it to be less bitter; its biggest selling point that you can have it delivered with your brush heads.) You can also do a “brush set” ($40–$55) where you save $5 by paying for the year of brush heads up front. There are a bunch of other options (starter kit plus toothpaste, couples and family sets with or without toothpaste, etc.) and a dashboard that makes it easy to manage everything. I was confused by the subscription aspect when I first went to the Quip website. But Enever and May told me that the reason you’re supposed to replace your brush heads (or your manual toothbrushes) every few months is not because they are nasty (though they are! ), but because they wear out and become considerably less effective in about three months' time. Knowing that a lot of people DGAF about this, and will happily use a toothbrush until the day the frayed, Doc Brown–looking thing accidentally falls into the toilet, they force you to replace the brush heads. (Though you can easily opt out at any time.) As someone who has literally never once replaced an electric toothbrush head, I can see the argument for doing it this way. 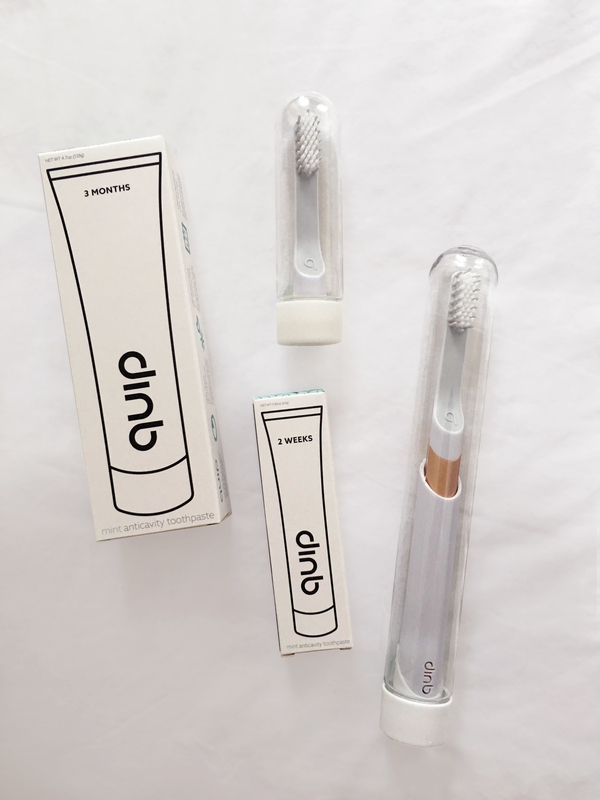 Whether or not you should buy a Quip kind of comes down to two things: whether you are in the market for an electric toothbrush, and whether the Quip’s design and branding speaks to you. Should you be using an electric toothbrush? Maybe. I’ve heard dentists say that you absolutely should. The ADA has this to say: “Both manual and powered toothbrushes can effectively and thoroughly clean your teeth. … Whether you decide on manual or powered, choose a toothbrush that you like and find easy to use, so that you’ll use it twice a day to thoroughly clean all the surfaces of your teeth.” So whether or not you opt to go electric is between you and your dentist (and maybe your receding gums). 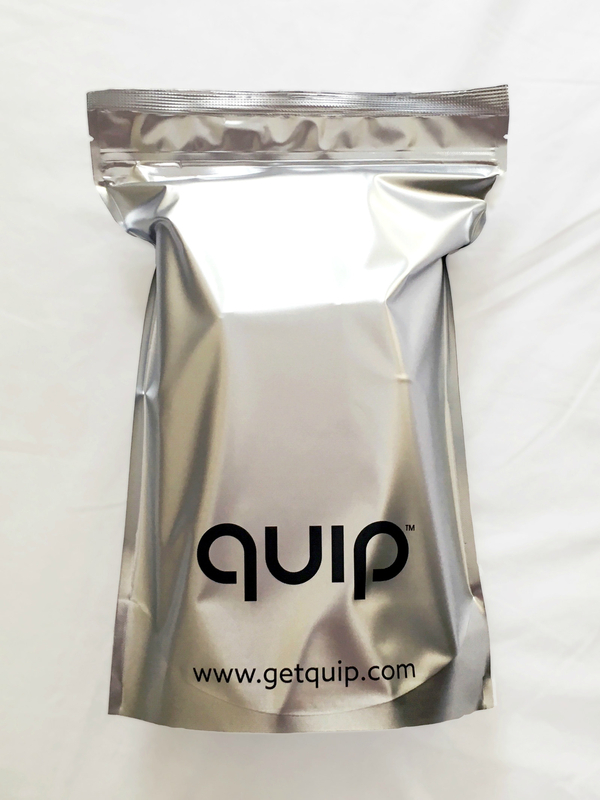 Should the Quip be your electric toothbrush? Look, I don’t know your life. The Quip is competitive, cost-wise, with other electric toothbrushes, and there isn’t a strong, evidence-based argument that it’s objectively better or worse for your dental health than its competitors. (Consumer Reports actually doesn’t review electric toothbrushes at all.) While the brushing experience is nice, and I admit I lean toward believing the rumors about Big Toothbrush, I think the strongest argument for buying one is the Quip’s lovely design, followed by the smart brush head subscription. If you’ve ever bought a pair of glasses from Warby Parker (me, two months ago), looked at a rose-gold Macbook and thought “Pretty!” (also me), told someone about how much you like the FitBit app (yes), owned a pair of gold scissors (guilty, don’t @ me), marveled at the magic of ordering an Uber (I MEAN, WHO HASN’T???? ), praised Amazon Prime via the raised hands emoji (duh, this is America), walked into a Target and then Snapchatted your friends a bunch of pictures of their newest home products with some variation of “Goddamnit, Target, stop pandering to me!” (HI), or purchased something from Glossier (HA! NOT ME...but all my friends, so might as well be me), then you probably understand the Quip’s appeal. That said, my mom hasn’t done the majority of those things, and I think she’d like the Quip, too. 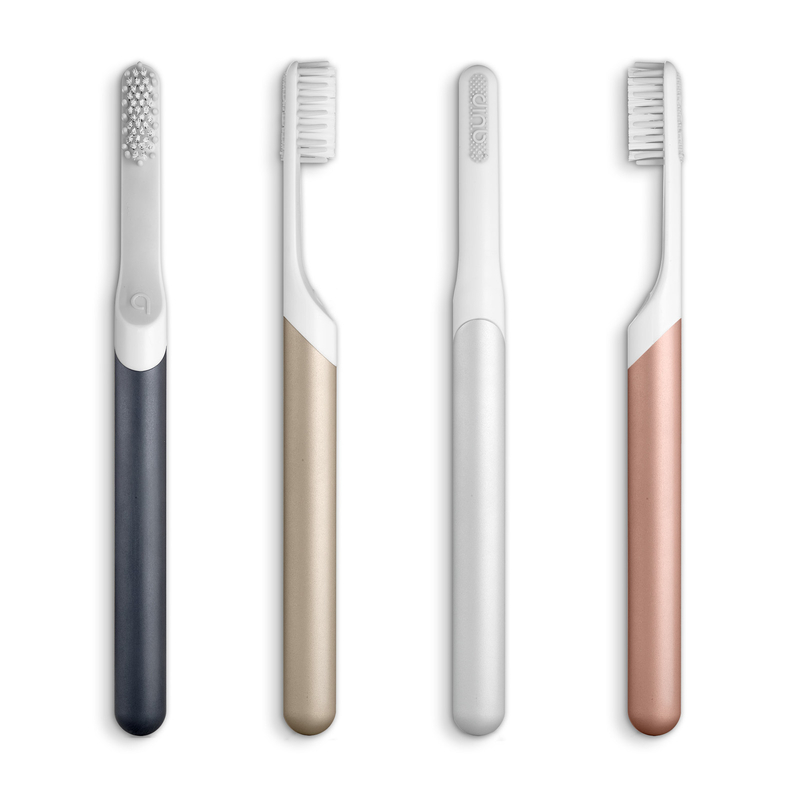 The Quip is basically the iPhone of toothbrushes. And if you're not a sucker for that, you're a stronger person than I am. To see more reviews of the best electric toothbrushes, check our BuzzFeed Reviews!